You find an online job that sounds promising, you click over to get more information and BOOM you’re asked for your credit card information. For only $39.99 you, too, can earn hundreds of dollars per week in mere hours. One of the most frustrating things about finding a work from home job is weeding through scams. There’s always someone out there trying to take advantage which is why you should always be wary when it comes giving out personal information and/or money. 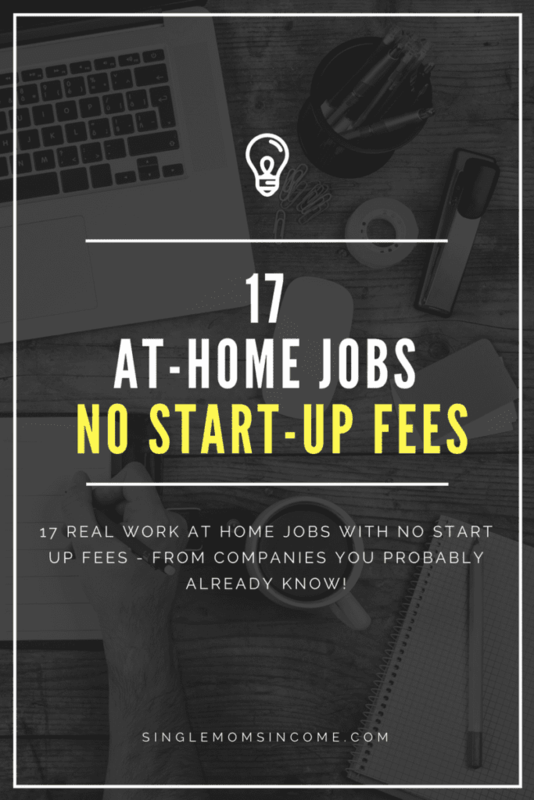 Luckily these 17 REAL work from home jobs with no start-up fees are legit and from companies you’ll already be familiar with. American Express – American Express offers work from home jobs in customer care, travel and lifestyle, sales, and human resources. Pay will vary depending on job. Alorica at Home – Alorica is a company that hires work at home agents to perform customer service, mainly over the phone but also through chat and email, for a variety of different companies. The pay is usually around $9/hr. or minimum wage, whichever is higher in your state. They also offer paid training. VIP Kid – This company is always hiring independent contractors to teach English second language to Chinese children. The teaching material/lessons are provided. To qualify as a teacher you’ll need to have a bachelor’s degree (any field) and one years’ teaching experience or equivalent (tutoring, homeschool, etc.) Pay is $14-$22 per hour. Transcribe Me – This company hires general transcriptionists to transcribe audio files. No previous transcription experience is needed and you can work as little or as much as you want. Pay is $20 per audio hour. Stitch Fix – Stitch Fix hires work at home personal stylists in the following states: Texas, Ohio, California, Pennsylvania, and Minnesota. In person training is required. Pay is reported be $14-$16 per hour. Leapforce – Leapforce hires independent agents to evaluate and improve search engine results. Hours vary and pay is reported to be around $13 per hour. Convergys – Convergys hires for work at home call centers. They have three types of work from home customer service positions. They also offer paid training and a full benefits package. Average pay is $9-$14 per hour. Amazon – Amazon often has virtual positions open – especially around the holidays. If you’re interested in a job with Amazon be sure to check their openings often. Apple – Apple hires at-home advisors to help with customer support via phone and chat. If you’re hired as an Apple at home advisor you’ll be provided an iMac, headset and employee benefits. Asurion – Asurion is a company that hires at home customer service agents to help customers troubleshoot technological problems. Pay is generally $9-$13 with some incentives offered. Aberdeen – Aberdeen is a company that hires contractors to caption in real-time and also to caption videos. Pay varies but looks to be decent. Sitel – Sitel hires work at home associates to service inbound calls. They work in a number of different industries so specific duties will be based on individual jobs. Pay is rumored to start at around $9 per hour. Hilton – Hilton hires both reservation sales and customer service jobs. The pay is around $9/hour (with incentives for sales associates.) Benefits packages are available. Intuit – Intuit, the company that owns Turbo Tax and Quickbooks, hires work at home tax-advisors and tax support specialists during income tax season. Tax Advisors answer tax related questions while tax support specialists help answer software questions via phone and chat. HSN – HSN hires work from home customer service jobs but not nationwide. As of right now HSN is hiring in Florida, Tennessee, and Ohio. (Even if you live in one of these states you will also need to have a specific area code.) Pay is rumored to be $11-$12 per hour. If you’re looking for a work from home job these 17 companies are a good place to start. These are real work at home jobs with no start up fees. The only time start-up fees should be involved is when you’re starting your own business. And even then you should do plenty of research before shelling out any money. I live outside of USA, Jamaica to be exact. Is there any job opportunitie that is international? Check out realwaystoearnmoneyonline.com and search her site for worldwide jobs. I’m pretty sure she has a list. I’m going to pass on all of these. I did a glassdoor search for reviews, and I don’t think any one of these companies are a legit form of income. I think the writer of this article should have done the same. I respectfully disagree. I did check ratings. The average GlassDoor rating for ALL companies is 3.3. Most of these companies are rated higher than 3.3, meaning an above average experience. But with all jobs there are mixed reviews. Some people love working with these companies and others hate it. Thank you for sharing these. I was a mom until I adopted my child out to some other good hearted woman but this is helpful seeing these and the Transcribe Me seems legit. I made an account and of course having to go through questionnaires but it seems to be a legit job so far. I have been looking for data entry jobs for at home that I can do so I would have some kind of income since I never really worked before. Well except spent 4 days of training for a telemarketing job near me. Gave me so much anxiety and I have problems with that badly. 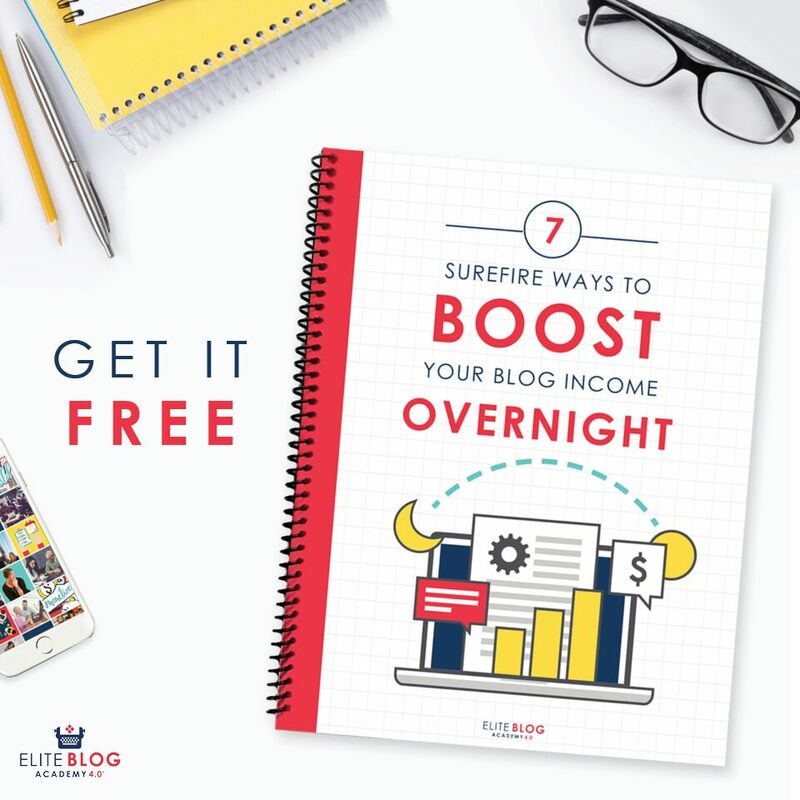 So I am looking for some source of data entry income job that will bring money in. If you have any other ideas of any kind of data entry jobs just let me know and thank you for the post. This is all so helpful, I was able to easily apply to many jobs.